India’s ranking in the list of countries according to their ease of doing business, formulated by the World Bank, has climbed up 30 spots to reach 100 this year. The rankings, released on October 31, are based on a country’s regulatory laws for running a business, calculated by measuring the ease or difficulty for starting a business, dealing with construction permits, getting electricity, enforcing contracts, among other factors. “A high ease of doing business ranking means the regulatory environment is more conducive to the starting and operation of a local firm,” according to the World Bank. India’s historic jump was hailed as an outcome of “all-round & multi-sectoral reform push” by Prime Minister Narendra Modi, but it comes at a cost. “In January 2016, there was an achievement document in which they emphasized ease doing business and all the ministries are toeing the like of ease of doing business. These dilutions seem to be geared towards safeguarding business interests and have an environmental cost,” says Kanchi Kohli, legal research director of the Namati Environmental Justice Programme at the Centre for Policy Research. Since coming to power in 2014, the BJP-led government has diluted environmental legislation to make business easy, which may have multifarious impacts on the country’s environment. Soon after coming to power, the government weakened the process of granting Forest Clearance (FC), required for diverting forest land for non-forest uses, like mining, construction and others. Under the new guidelines dated August 8, 2014, the Ministry of Environment, Forests and Climate Change (MoEF&CC) allowed project proponents to fell trees once the in-principle or the Stage I FC was granted. Earlier, this was only allowed after the final approval or the Stage II FC was granted. 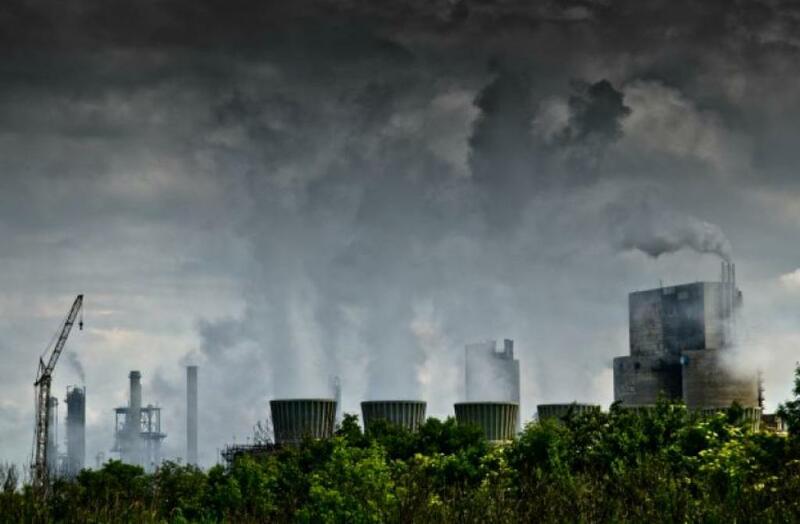 Then in March 2016, the MoEF&CC created a list of 36 “non-polluting” industries, calling them “White Industries”, which were exempted from obtaining the otherwise mandatory environmental clearance (EC) to begin operations. These industries, like solar power generation using photovoltaic cells, wind power, mini-hydroelectric power (less than 25 megawatts) and others do not require an EC under the Water (Prevention and Control of Pollution) Act, 1974 and Air (Prevention and Control of Pollution) Act, 1981 or consent from the pollution control board to operate. “While a mini-hydro power project might not be polluting during its operation phase, they are definitely polluting during the construction phase when stone crushers are required to obtain construction material,” environmental lawyer Ritwick Dutta says. The environment ministry then brought an amendment to the Environmental Impact Assessment (EIA) Notification 2006 on December 9, 2016 exempting construction projects from getting prior environment clearance (EC). Under the new rules, projects smaller than 20,000 square meters require a self-declaration for getting permission from the municipal body and those larger than 20,000 square meters the permission will be given by the municipal authority. On March 14 this year, the MoEF&CC made another amendment to the EIA Notification 2006, which allowed industries in violation of the EIA to apply post-facto clearances. The amendment allows illegal projects, which did not have an environmental clearance, to apply for and obtain clearances after beginning operations. An audit report on environmental clearances by the Comptroller and Auditor General of India (CAG) that came out in March 2017, also reflects the non-compliance with existing laws. “The annual environmental audit report was not submitted by Project Proponents to State Pollution Control Boards/Union Territory Pollution Control Committees in 19 per cent of the cases and in seven per cent of the cases construction/operations was commenced before grant of Environmental Clearance” the report says. The CAG report also talks about how the MoEF&CC did not do its share of the work. “The Ministry did not have a database of cases received by it where the violations were reported by Regional Offices. No penalty was imposed by the Ministry for violating conditions of Environmental Clearance in the last two years,” it says. More recently, the ministry decided to relax the Costal Regulation Zone Notification, allowing mining of atomic minerals like uranium, thorium, titanium, tantallium and zirconium in October 2017. Under the previous rules, mining of coastal atomic minerals was only allowed when they were not available in non-coastal areas. “It is difficult to compute the damage done to the environment by these dilutions so far. The impacts will take a couple of years to become visible and when it does, there will be no environmental laws to move courts,” says Dutta. “Like with the case of white industries not requiring EC, by taking the Air and the Water act out, the amendment has taken away National Green Tribunal’s jurisprudence over the issue. If tomorrow a lot of pollution is caused by the construction activity, you cannot go to NGT about it. You’ll have to approach the municipal authority,” he adds. I have a question How come ayurvedic and homoeopathic medicines are being classified under Orange Industries ?